Acer's mobile PC line underwent some changes in Q3 2003. The company announced a new series: TravelMate 240 / 250, TravelMate 290 and TravelMate 660. With these models the company started restructuring the whole TravelMate line in order to form two groups of products. One of the groups will include notebook PCs for users who often travel. Such models will be intended for frequent use outdoors, will have a compact size, long battery life and all wireless communication means. The second group will cover notebook PCs used mostly indoors. In such case their dimensions are not that vital. This group also includes models with the most optimal price/performance ratio. According to this classification, the TravelMate 660 refers to the business notebooks for travelers. Such positioning defines its features - the maximum user-friendliness with the acceptable weight and lengthy battery life. Multimedia features are of the secondary importance. 256/512 MB DDR266 SDRAM expandable up to 2048 MB (512 MB on the tested model). This model has all necessary ports. Two card readers (traditionally, TravelMate 661LCi supports SmartCard) expands functionality even more. This solution is not that light and its dimensions (due to the 15" matrix) make it suitable rather for transportation than for carrying in hands. Besides, you can make it lighter by removing the optical drive. In general, the model corresponds to its positioning. Nti CD-Maker Plus Edition CD. 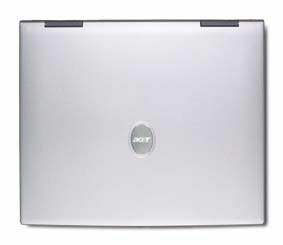 The design is typical of Acer. It looks elegant and lighter than it really is. Unfortunately, Acer's standard LEDs disappeared from the display lid; such positioning was optimal, especially for a model meant for travellers. In front is a 4 in 1 card reader, an IR port, a Bluetooth key (doesn't work on the tested model) and a 802.11b key. The speakers are on the left and right sides. There's no a CD playback unit as this is not an entertainment solution. I don't think that the IR port's position in front is ideal - what if you need to enter some data when the notebook is connected to a PDA? However, the IR functionality is not that important. On the right it features the AcerMedia Bay with an optical drive and a power supply connector. Note that the connector of the power cable is L-shaped, that is why make sure that the cable doesn't prevent opening of the drive's tray. All the connectors are grouped on the left, that is why all the cables except the power one will be connected either to the left side or to the back. But if a right-hander wants to use a mouse instead of the touchpad he will have to lay the cable behind the notebook. Besides, the distance between the USB ports is very small, and a flash drive might take two or even three ports if connected without an extension cord. The keyboard and touchpad shapes don't change much with time. It seems that the keyboard could easily fit a 14" model. Well, at least, users of Acer's notebooks won't have to get used to a new keyboard, and additional keys on the right (where Home, End, PgUp, PgDn are usually located) make it asymmetrical. But still, I'd advice the company to develop a keyboard exactly for 15" models, especially because they hit the sales volumes ranking. The LEDs disappeared from the display lid as well. In my opinion, such positions are optimal for a mobile system and allow users to monitor the system status when it's closed. The key LEDs of the TravelMate 660 are actually seen when the notebook is folded, but it's not that simple to see them - you'd better lift the front part a bit. The touchpad is beautiful and convenient. In general, I had no problems when handling the notebook. 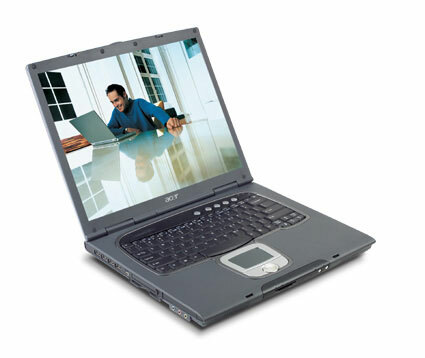 Since the notebook is intended for business users the company focused on data protection. Apart from traditional access control means (password protection on BIOS level) the TravelMate 660 supports a smart card based technology. PlatinumKey allows using a smart card for storing passwords for hidden zones of WEB sites which automatically read when a user accesses such zones. PlatinumPAS can be adjusted so that the OS won't run without the smart card verified at the boot stage. If a user needs to leave his notebook for a while he can take the card with himself leaving the screen and keyboard locked. As soon as the card is reinserted the PC resumes operation. A user password is unique for each smart card. The identification system for TravelMate 660 supports up to 5 users. The air intake hole is underneath, that is why you'd better put the notebook on a hard surface. The PC case doesn't heat much, only its area under the left hand gets pretty warm because of the hard drive. This is how a business-class notebook PC must be - elegant, functional, without unnecessary frills like a separate audio playback unit. Warranty. 2 year for Acer's notebook PCs. Service. 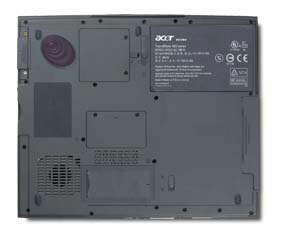 Acer's portable PCs are serviced in the service centers which are listed on the company's site. The service centers carry out diagnostics and, in some cases, repair. If the warranty period is not expired such notebooks are sent to the central service center. If it's over, the local service center can repair it on the spot. 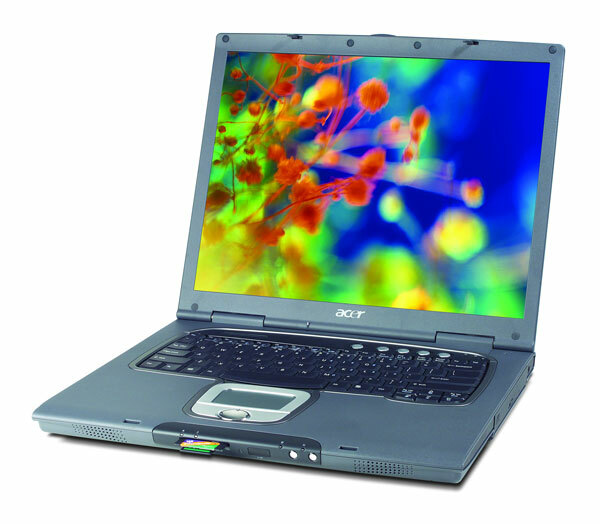 The hot-line support was tested with the TravelMate350 notebook. In short, it works. During the warranty period a notebook must be upgraded in the service center. When it's expired you can replace the memory and the hard drive yourselves. According to its specs this model is mostly intended for business applications. The most interesting results refer to the battery run-down time. Well, 4 hours of the full-function operation or 5 hours at reading is an excellent result. The network performance is also expected. The 3D graphics tests also yield evident results - well, an integrated controller is not for gamers. Well, this is an elegant office-type notebook PC with a long run-down time. You wouldn't like to carry it every day in your hand but it can be a nice solution for business trips.